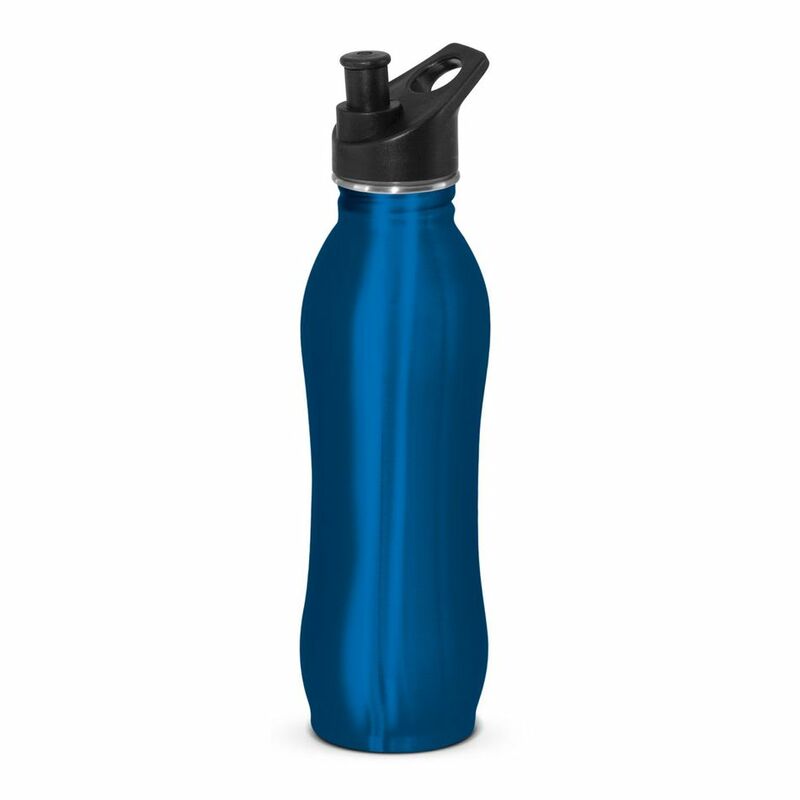 Lovely contour designed 700ml food grade stainless steel drink bottle with a choice of three lid styles- all of which can be supplied with an optional carabiner and an optional gift box. It laser engraves to a natural etch. Stainless steel does not require a plastic liner ensuring a chemical and odour free beverage. BPA free. Laser pricing.